The head of Iraq’s parliamentary committee on security and defense, Hakim al-Zamili, in an interview with Al-Araby Al-Jadeed, said that Baghdad could turn to Moscow for help after Turkey had allegedly breached Iraq’s sovereignty. 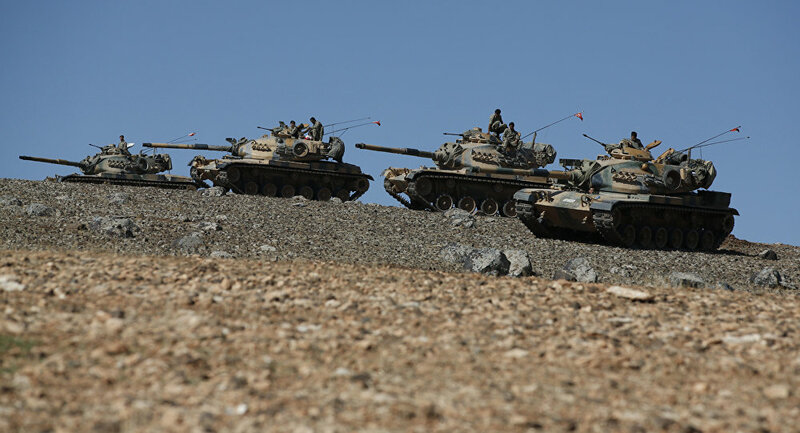 Numerous reports suggest that on Friday Turkey sent approximately 130 soldiers to norther Iraq. Turkish forces, deployed near the city of Mosul, are allegedly tasked with training Peshmerga, which has been involved in the fight against Daesh, also known as ISIL.On Saturday, Baghdad described the move as “a serious violation of Iraqi sovereignty,” since it had not been authorized by Iraqi authorities. “We may soon ask Russia for direct military intervention in Iraq in response to the Turkish invasion and the violation of Iraqi sovereignty,” Iraqi lawmaker al-Zamili said. Earlier, Hakim al-Zamili threatened Turkey with a military operation if the Turkish soldiers do not leave Iraq immediately.The parliamentarian reiterated that Turkey sent troops into Iraqi territory without notifying the government. Iraqi Prime Minister Haider Abadi urged Ankara to immediately pull out its forces, including tanks and artillery, from the Nineveh province. Iraqi President Fuad Masum referred to the incident as a violation of international law and urged Ankara to refrain from similar activities in the future, al-Sumaria TV Channel reported.